International payment companies profit in primarily two ways: by adding an FX margin (sometimes small, sometimes large) on top of their wholesale FX rate, or charging a fee for each money transfer. Or charging both. Or, apparently, none. Below we show how a range of payment companies are focusing their business models. The companies listed as offering transfers with no fees and no additional FX margin are not running non-profit transfer services. 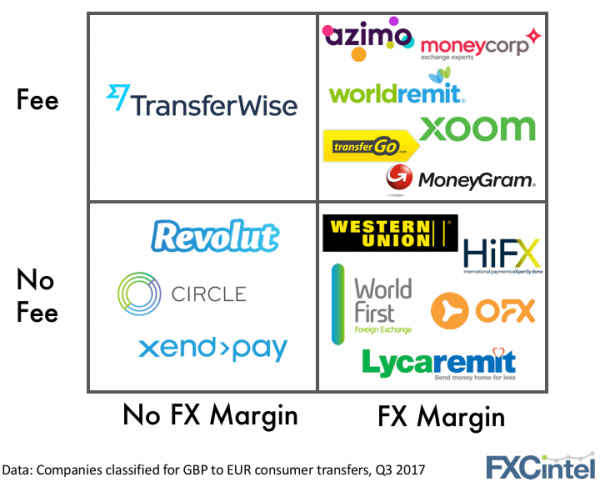 Azimo, WorldRemit and TransferGo are new payment companies focused on the remittance end of the market. Revolut is a UK based money transfer startup that subsidises transfers by issuing debit cards and collecting a percentage of the transaction fees. Circle is a payment app that also offers a limited amount of free payment corridors. Xendpay, part of the RationalFX group offers users the opportunity to pay what they want, but they do charge fees on transfer higher than £2,000. To find out how these non-bank companies set their models, reach out to us. 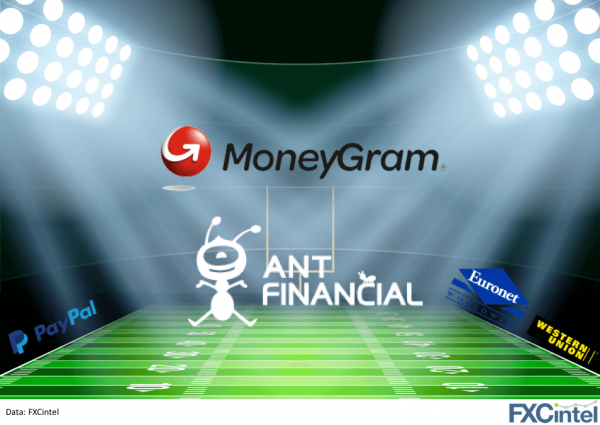 Will Ant Financial close its MoneyGram deal? After fighting off a potentially higher bid from global payments group Euronet and then raising their offered price, Ant Financial may now have a new obstacle to overcome in its purchase of MoneyGram: the lengthy, opaque approval process of the Committee on Foreign Investment in the United States. According to Reuters, Ant Financial recently had to resubmit the deal for review. This came after Any Financial was unable to get approved for the deal within the first 75 days that it was reviewed. It remains to be seen if this is due to opposition to the merger or that the committee is backed up and yet to review the deal yet. The possible hurdles in obtaining the green light for the deal was one of the key issues raised by Euronet in their attempt to stop Ant Financial’s original proposal. Back then, MoneyGram’s board did not appear concerned and decided to vote to move ahead with Ant Financial’s second, higher bid of $1.2bn. The outcome of this merger is being watched carefully by many others in the space. As the fragmentation of the international payments continues to decline, the ability for large overseas companies to buy US based payment companies will impact the pace at which this consolidation can continue.